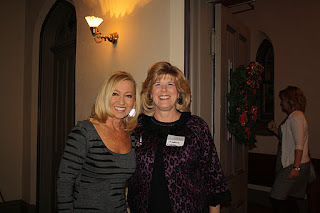 Mercy Ministries News: First Ever Merry Mercy Christmas Benefit in St. Louis! 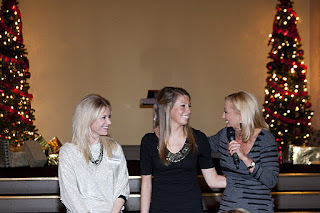 First Ever Merry Mercy Christmas Benefit in St. Louis! More than 100 people from the St. Louis community came to the 9th Street Abbey in Historic Soulard for the Merry Mercy Christmas Benefit on December 7th. 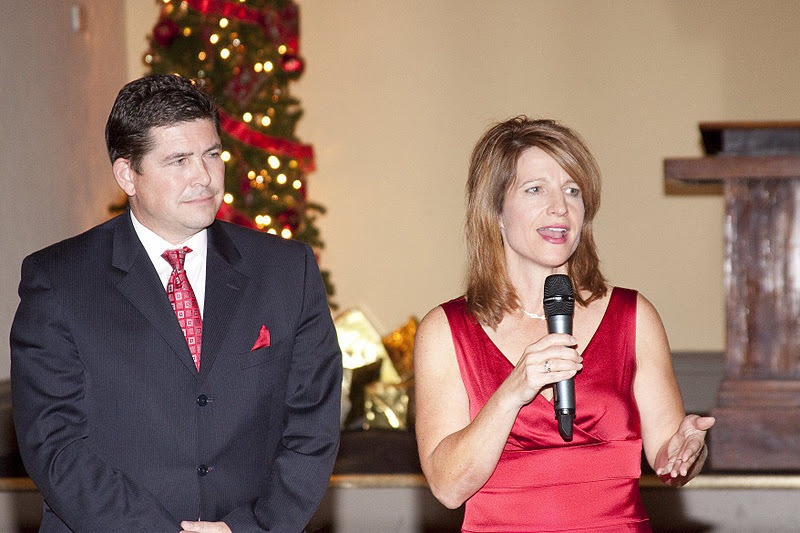 Maria Spagnuolo, the wife of St. Louis Rams Head Coach Steve Spagnuolo, is a passionate advocate and good friend of Mercy Ministries and blessed us by serving as the Event Chair. Event Sponsor, Michelle Luecal, welcomed everyone and blessed the meal before longtime Mercy supporter, Terri Stipanovich, introduced the Founder and President of Mercy Ministries, Nancy Alcorn. Nancy cast the vision of Mercy and shared her heart for the countless young women who need to know there is a God who loves them unconditionally and freedom from life-controlling issues is absolutely possible! 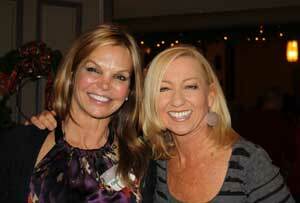 Everyone was deeply impacted by the two graduates who shared their powerful stories of healing and transformation. Before coming to Mercy, Holly, a 2009 graduate, struggled with a severe eating disorder, had no hope and wanted to die. While at Mercy, she learned about God’s unconditional love and her life was completely transformed. Holly will soon graduate college with a degree in psychology and is grateful for the opportunity to help transform other lives. 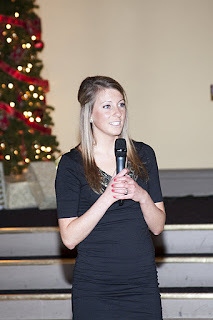 Amy, a 2008 graduate, spoke about how she grew up in a Christian home but was teased at school because of her weight. She struggled for years with an eating disorder and even tried a treatment facility that cost thousands of dollars, only to be left completely unchanged and hopeless. Amy learned at Mercy that God has a specific plan for her life - plans for hope and a future (Jer. 29:11). She is going to college next year to major in music business, religion and the arts. Mercy supporters, Senator Kyle McCarter and his wife Victoria, shared from personal experience about their daughter, Amber, who died of a drug overdose. They made the decision that her death would not be in vain, and became very involved with Mercy Ministries to be a voice for hurting young girls who need help. The McCarters challenged everyone to support Mercy Ministries in transforming lives. 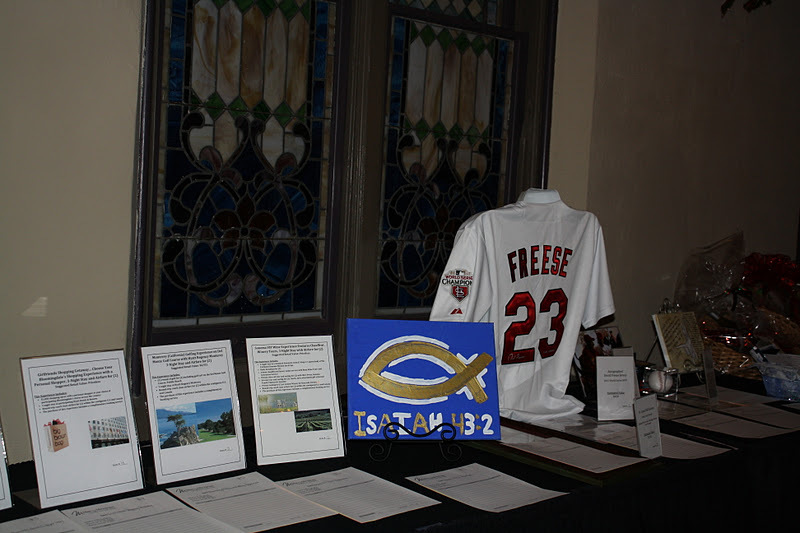 Guests could also bid on silent auction items to raise funds for Mercy Ministries. 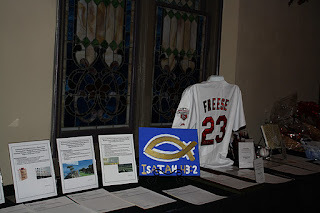 Travel packages, sports memorabilia, themed baskets, jewelry and artwork created by some of our residents were some of the most popular items of the night. Our special thanks to Event Sponsor, Michelle Luecal, Event Chair, Maria Spagnuolo, and our Patron Sponsors, Senator Kyle McCarter and his wife Victoria, Luecal Consulting and Faith That Works. Thanks also to Thomas Warwick Photography for photographing the event, Patty Long Catering, Inc. for catering the event and to violinist/vocalist Sarah Velasquez and guitarist Drew Michel for providing the entertainment. We would also like to thank all of the volunteers and supporters who helped make this event possible. If you would like more information about how you can support Mercy Ministries or would like to attend an event in your area, go to www.mercyministries.com.